This month is L3A students carried on with their studies and they greatly appreciated our weekly themes. We first continued learning about the world we live in, focusing on people in our communities. Later on, we moved on from reality to fiction and learned about the fantastic world of Traditional Tales. During our first week of the month, we studied Doctors & Dentists. This was one of the students’ favorite weeks as they enjoyed all hands-on activities very much. During our role-play class, students took turns being patients and specialists in order to complete a thorough health check. 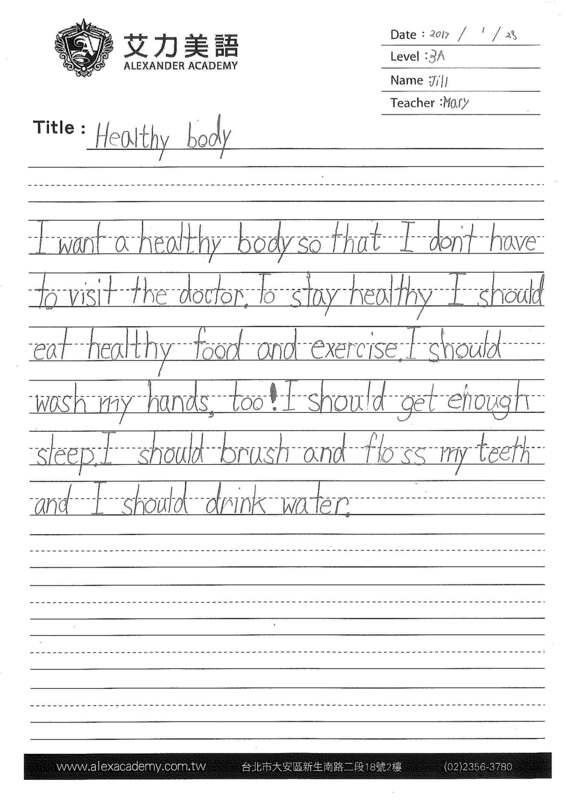 The class was then able to comprehend the importance of healthy habits and we wrote our own guides. Attached, you can find a writing sample of Healthy Body. The following week, we focused on Supermarket, Library and Post Office. Our weekly role-play was about all three places as students had to run errands all over the city. We learned how letters and packages are sent and delivered around the world before writing our own postcards. Attached you can find a Postcard written to Mom & Dad. For the last two weeks of the month, we studied Traditional Tales. This gave us not only the opportunity to learn through books, but also a chance to be a part of our favorite stories. In class, we read and compared several stories; studying the elements of a story and the structure of Traditional Tales. 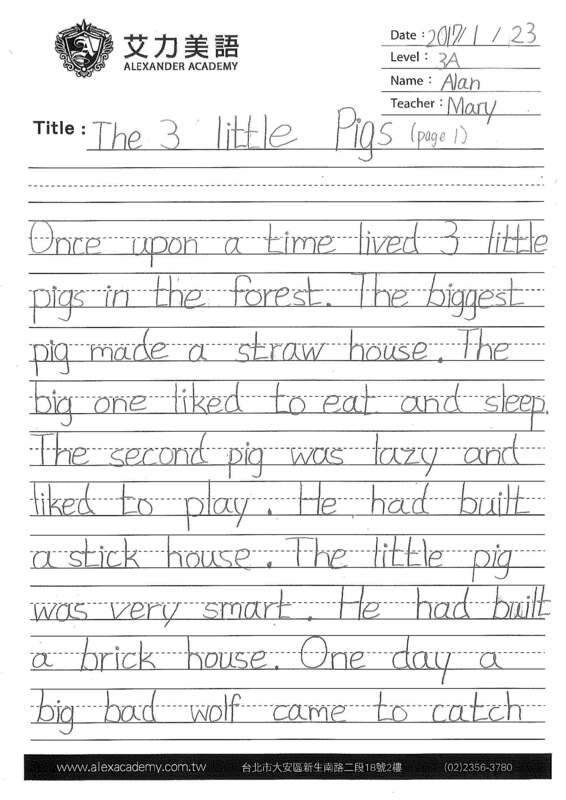 Students got to write their own versions of The Three Little Pigs, which you will find a sample attached. During our role-play classes, we acted out different stories and adapted them into plays. Throughout the month, we have continued to work hard on our Sight Words and Phonics and students show a steady improvement. 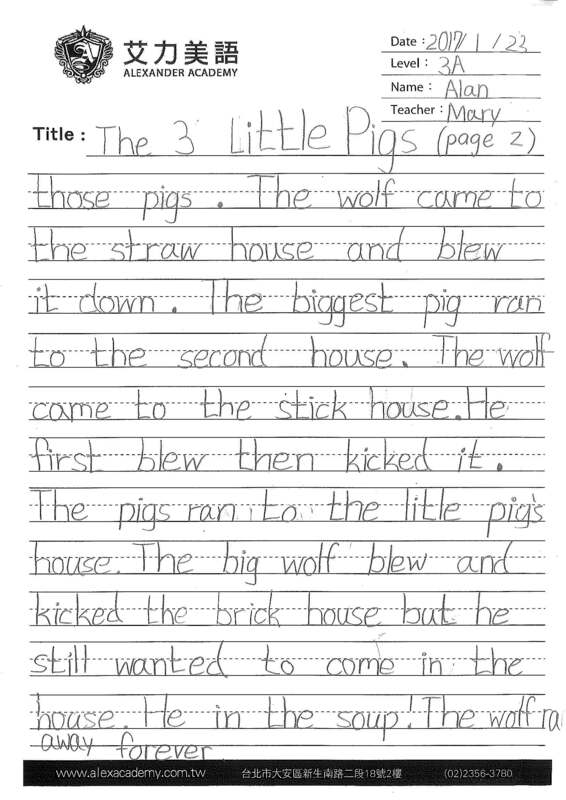 In reading classes, we continue to develop new reading skills and students are slowly able to add certain elements to their writing. I wish you all a wonderful holiday and a very happy New Year!